When Friday The 13th Part 8: Jason Takes Manhattan was released in theaters 1989, one of the silly complaints mentioned by critics and film reviewers was that there was an unrealistic lack of graffiti portrayed in New York. This observation was before the age of the World Wide Web and fan-boys nitpicking every little thing about the franchise. Now, present day fans are bringing it up once again. So, is it true about the lack of graffiti in the film? No, they were insane to think so. The greatest example of this misinterpretation of Jason Takes Manhattan is when Rennie and Sean escape into the subway of the city. The outside and inside of the subway cars are littered with graffiti to the point that it's almost obscene and overplayed. 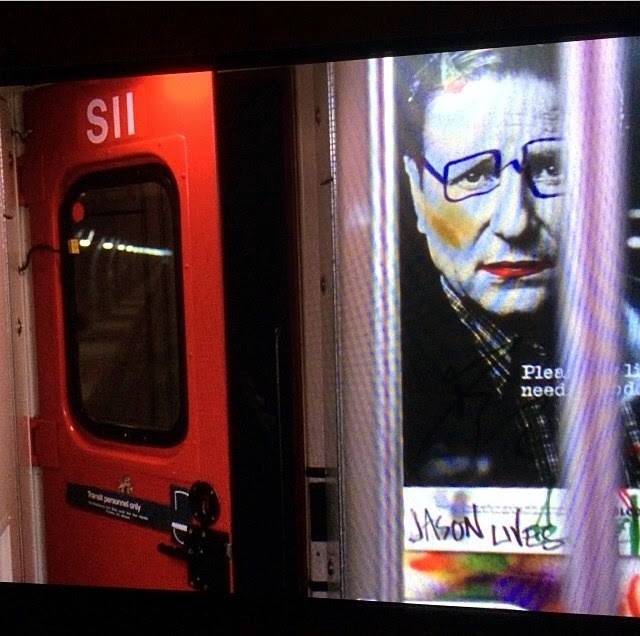 The use of graffiti was definitely something that was on the mind of the crew working on the film as they even slipped a little message into the subway car, stating "Jason Lives" (Seen in the image to the left). Conversely, another Paramount film from the 80's that featured New York City and portrayed no graffiti is Crocodile Dundee. The film was more audience friendly and not a Horror film with a killer. It seems to me like prominent critics need to find any negative thing to dissuade people from seeing Horror films and specifically Friday The 13th. Why was there no hate for the Crocodile man and his New York romp, yet critics have to pile on an already flawed Friday The 13th film by complaining about lack of graffiti? I think there is way more about Jason Takes Manhattan that could be debated about, but sometimes these silly complaints are mind numbing, especially when they are unfounded.